The Supreme Court recently determined the ACA as constitutional, with the exception of mandatory Medicaid expansion, and allowed continuation of significant U.S. healthcare reform. This is particularly beneficial for patients with chronic kidney disease (CKD) and end-stage renal disease (ESRD) and their providers. The preservation of the individual mandate, which requires health insurance coverage, expands coverage to 32 million Americans and permits those currently uninsured to have preventive, ameliorative, curative, and replacement therapy for kidney and other diseases. Coverage cannot be denied based on pre-existing conditions. Health insurance exchanges are being created that will provide insurance options for those without commercial or public insurance plans. Without these legislative assurances, many would have continued to delay or avoid care for their kidney disease. Furthermore, nephrologists would be unable to treat some of their most vulnerable patients. Mandatory Medicaid expansion was deemed unconstitutional, but only if required without an opportunity to retain existing Medicaid funding. Better coordination between Medicare & Medicaid, with novel approaches to managing “dual-eligible” beneficiaries (up to 40% of dialysis patients are dual-eligible), is enthusiastically promoted. Innovative ways of leveraging community and non-traditional healthcare delivery models abound. Patient safety, prevention, wellness, and health promotion are significantly promoted. ACA provides valuable tools to improve healthcare quality. Equally important, ACA demands accountability of healthcare providers in improving quality as well as lowering burgeoning healthcare costs. The CMS Innovation Center is implementing various models of Accountable Care Organizations (ACOs) and other payment demonstrations. Although specialty ACOs have been excluded from the first generation ACOs, CMS is committed to a major demonstration of coordinated care for ESRD patients in the near future. To be successful, the ACA requires providers (nephrologists, dialysis organizations, etc.) to radically change their existing cultures, to provide coordinated care, and to accept responsibility for poor quality and high-costs. Shifting blame isn’t acceptable. Organizational profit and professional autonomy become lesser, albeit simultaneously attainable, goals. Vastly improved patient-centered care and outcomes, plus lower overall costs, become paramount. Can we do it? We must! I think the last paragraph is key here. 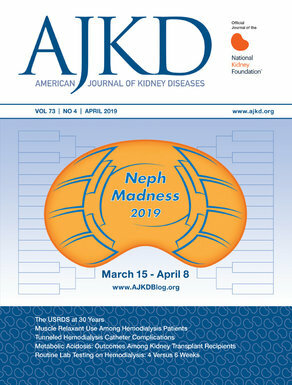 There are a lot of difficult challenges ahead that will require nephrologists and dialysis providers to step beyond our comfort zones, but, as the doctors and health care providers that see these patients the most, we are really well positioned for these challenges, including balancing innovation and patient and provider autonomy with more the more centralized health care environment that is coming. The challenge I see here is that patients, nephrologists, and dialysis providers have different incentives and priorities, often unaligned. Take dialysis time, as an example. The average Td in recent frequent dialysis studies is 3.5 hours, meaning some patients receive far less than 3.5 hours. Patients want the shortest time possible, dialysis providers want patients off no later than their routine prescription time, yet there are ongoing cries for more frequent dialysis! Dialysis adequacy measures, really only solute removal adquacy, lull us into thinking 3.5 hours is adequate. It’s not for many patients. Theoretically, all it takes is a prescription for longer time. However, that’s easier said than done. I completely agree, we must. Nephrology has led in the global initiative of improving quality and containing costs…particularly around ESRD. There is however opportunity to further increase the value we deliver to all stakeholders (patients/population, providers, payors). Tackling the “triple aim” of improving care for individuals, improving the care of a population and decreasing per-capita cost is a must as we move forward. Failure to acknowledge this is at this point is naive. However, what this means for nephrology specifically is not yet known. Specialist ACOs as above are not here yet, but there seem to be some big players in nephrology moving full steam ahead in the ACO direction. Although it remains unclear how successful the specific initiatives in the ACA will be, this is clearly an exciting time. I for one look forward to the challenge of executing in this new era of healthcare reform and preparing for the developments in our field of nephrology. Good luck to Beacon Health Partners! While still at CMS I advocated for including specialty ACOs as part of the MSSP, but the policy call was not to do that at this time. I firmly believe that coordinated care in the dialysis space is potentially more achievable than for the general population. The expected demonstration will test that belief. It will also test how patients, nephrologists, and dialysis organizations can or cannot work together. There are a significant number of people using dialysis, that have Medicare coverage due solely to their ESRD diagnosis, and who can not pursue a kidney transplant because they have been told by their transplant center that they will loose Medicare coverage, and thus access to affordable immunosuppression medications, 36 months post transplant. Should these people continue to forgo pursuing a transplant? Or does the Affordable Care Act, through the exchanges, deliver access to immunosuppression medications for those living with a transplant? 2014 is less than 36 months away; I think people should be assured that current law does provide access through the exchanges to insurance and thus the after transplant care they will need to keep their graft healthy. In addition, so long as the individual does not live in a state that is refusing to expand Medicaid access under the ACA, people living below the poverty threshold will also have access to post transplant care. Unfortunately, the SCOTUS decision regarding Medicaid participation does mean that in states that refuse to implement the Medicaid expansion under the ACA people living below 100% of the federal poverty level, but not currently eligible for Medicaid, will continue to be denied access to health insurance. But this is a small group compared to the many that will have access to post transplant medical care beyond Medicare’s allowed 36 months. Dr Straub, should transplant centers allow people who will have access to insurance because of the ACA to proceed with a transplant (either to get on the list or have a LRD tested)?